This post is dark and full of spoilers. See below for my OMG moments from the season premier of GOT7. Daenerys Targaryen has landed in Westeros. Ugh. I really would have liked Dany better if she decided to abandon her quest for the iron throne and instead dedicated her life to the service of Mereen. Seriously, she just abandoned that city in what is still a very precarious time, fleeing with her presumably still very unstable dragons to conquer a land she hasn’t been to since she was a newborn. Regardless of my many complaints for her character, this scene of her homecoming to Dragonstone, the seat of her ancestors, was very well done and beautiful. The quiet sense of fate as she explored the castle, which was apparently left vacant with a “come occupy me” sign by Stannis, made for a solemn and thrilling note for the final moments of the episode. The wait is over. The Mother of Dragons has arrived at long last, and she isn’t messing around. 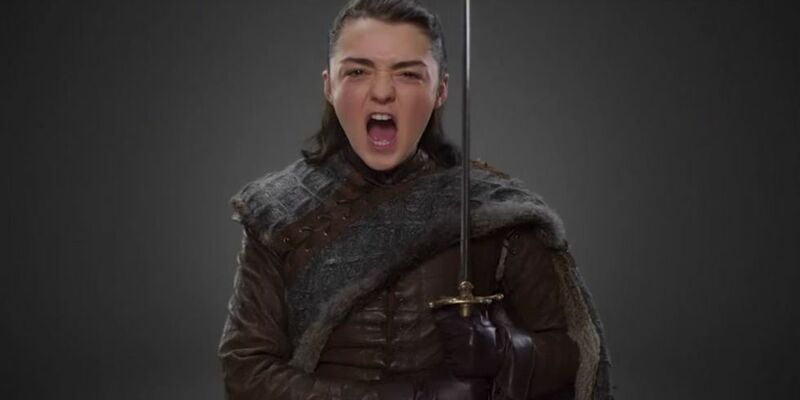 Arya, that disturbed little assassin, made this episode. By poisoning all the remaining Freys in a very chilling cold open, she set the tone for what is sure to be quite a brutal season. Go you! I can’t believe the things I root for in this show. 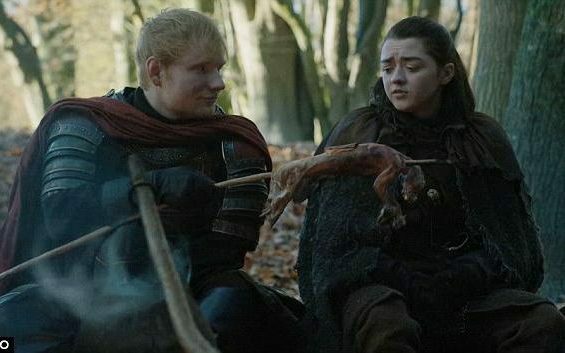 Seeing Ed Sheeran was fun, but seriously what was that scene about? Here’s to hoping his sing-songy Lannister soldier of a character ends up serving more of a purpose than advertising his angelic voice if he appears in the next episode as well. He may be nuts, but I’m weirdly attracted to this man…. Cersei is ready to make an alliance with Euron out of necessity, but unwilling to commit to a marriage with him. Will his mysterious “gift” woo her? More likely his excellent sense of humor will. This man had me cracking up. “Here I stand with a thousand ships and two good hands–” BURN! The look on Jaime’s face at this thinly veiled insult just made my night. I can only pray his grand romantic gesture to her is NOT the gift of Tyrion’s head on a silver platter. What are your OMG moments and exciting takeaways from the episode?